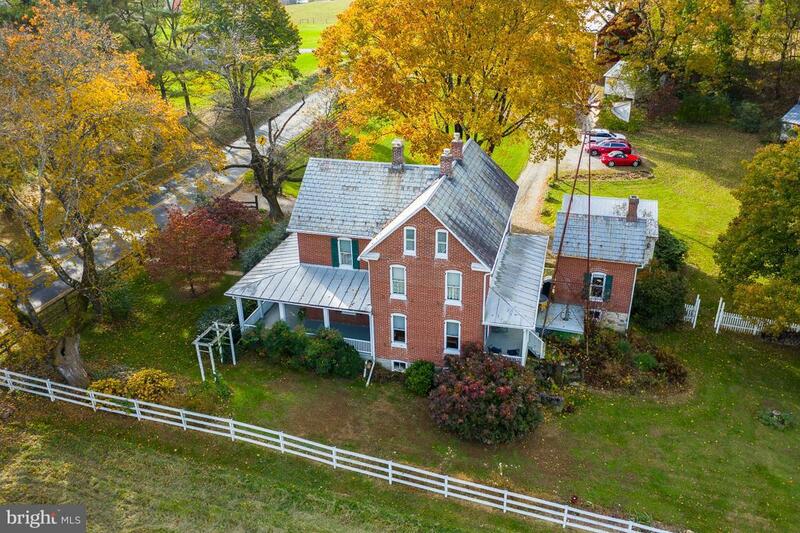 Lovingly restored brick farm house in northern Baltimore County, built in 1911, and located in the very popular Hereford area school system. This home has been restored with modern updates that preserve the spirit of that period. This is a 3 bedroom. 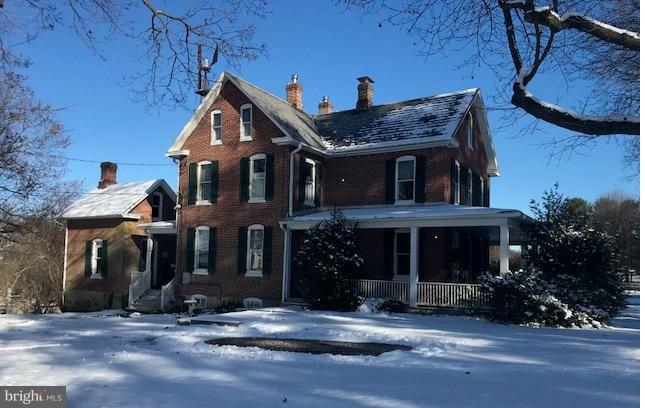 2 bath home (plus flush & shower in the basement), 4 spacious rooms on the first floor including an updated kitchen (just 12 years ago) featuring 'plain 'n fancy' cherry cabinets and granite countertops. There is a formal dining room and a living room with 9' ceilings and tall, over-sized windows. The family room is off the kitchen and is the largest room on the first floor. Upstairs are 3 well laid out bedrooms and 2 full baths and a 3rd floor walk-up attic for great storage. There is a brick, 3 level, detached, summer kitchen just outside the main house. 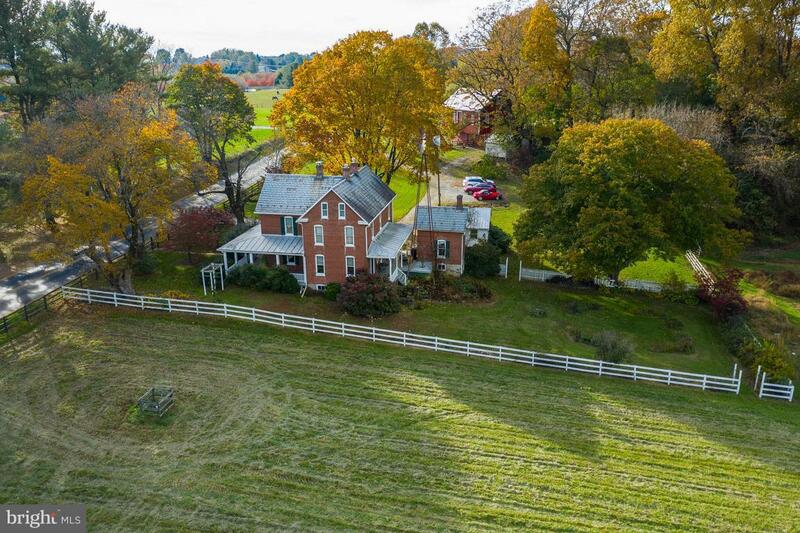 This farmette features 11 1/2 rolling acres that offers fenced pastures for large animals. There are also 3 out-buildings, including a 40' workshop. There is a detached, 2 car garage and a large, red, 3 stall bank barn that was just painted 2 years ago. 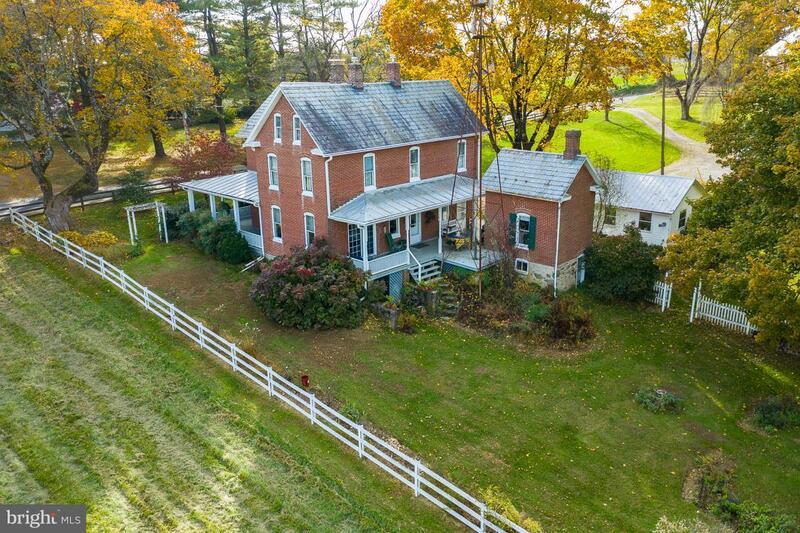 This property is about 60% pasture, 25% wooded and 15% yard and garden area. And finally, there is even an original 'windmill' to provide auxiliary water from the original hand dug well. This well, in addition to the main well, is 'only' used for agricultural watering, including a delightful perennial garden. Call today for an appointment to see what makes this home so special. Zoning Description Property Could Be Subdivided To Get Just One (1) More Lot. Acceptable Financing Conventional Accessibility Features Level Entry - Main Assessment Year 2018 Association YN No Central Air YN No Condo YN No Cooling Fuel Bottled Gas Cross Street Falls Road Electric 220 Volts Entry Level 2 Foundation Details Stone Heating Fuel Oil Historic YN No Hot Water Electric Incorporated City Name Hampstead Lease Considered YN No Navigable Water YN N New Construction YN No Original MLSNumber 300983996196 Ownership Interest Fee Simple Possession Negotiable Sale Type Standard Senior Community YN No Sewer Private/Community Septic Tank Structure Design Type Detached Tax Annual Amount 4698.0 Tax Assessment Amount 382700.0 Utilities PropaneElectric Available Vacation Rental YN No Water Source WellConditioner Window Features Storm Zoning Rc-2 Zoning Description Property Could Be Subdivided To Get Just One (1) More Lot.